Environmental groups blast the timing, saying the goal is to bury scientists' findings. PHILADELPHIA — The Trump administration will release a major report on climate change Friday afternoon, the day after Thanksgiving and one of the worst days of the year for reaching a news audience. The Fourth National Climate Assessment, administered by the National Oceanic and Atmospheric Administration but compiled by a number of federal agencies, will be released at 2 p.m. as many Americans scout Black Friday deals or travel. Some environmental groups question the timing. “It’s an absolute disgrace to bury the truth about climate impacts in a year that saw hundreds of Americans die during devastating climate-fueled megafires, hurricanes, floods, and algal blooms,” said a statement by Mike Saccone of the National Wildlife Federation, who suggests the administration is trying to “obscure” the assessment’s findings. The report is expected to be an exhaustive analysis of climate change’s impact in the U.S., and comes on the heels of a report in October by members of the Intergovernmental Panel on Climate Change that laid out a grim future globally because of nearly irreversible environmental changes. That report was written by 91 authors from 40 countries and loaded with 6,000 scientific references. The new assessment is a product of the U.S. Global Change Research Program, a result of actions by President George H.W. Bush in 1989 and mandated by Congress to help the nation and world “understand, assess, predict, and respond to human-induced and natural processes of global change.” It includes input from 13 federal agencies, so its scope should be sweeping. The assessment will likely address the role of greenhouse gases, most notably carbon dioxide, which absorb infrared radiation, trap heat and warm the planet. Methane is another, even more potent, greenhouse gas. Both occur naturally in the atmosphere, but human activity through the burning of fossil fuels has added to their concentrations. Over time, no country has put more greenhouse gases into the atmosphere than the U.S., but the nation’s output has been leveling off or decreasing with the closure of coal-fired power plants and the switch to natural gas, driven, in a big way, by Pennsylvania’s Marcellus Shale output. Natural gas plants emit far less carbon. Meanwhile, China and India have become among the largest carbon emitters worldwide. China is making a big push into renewable energy, but that will take years. 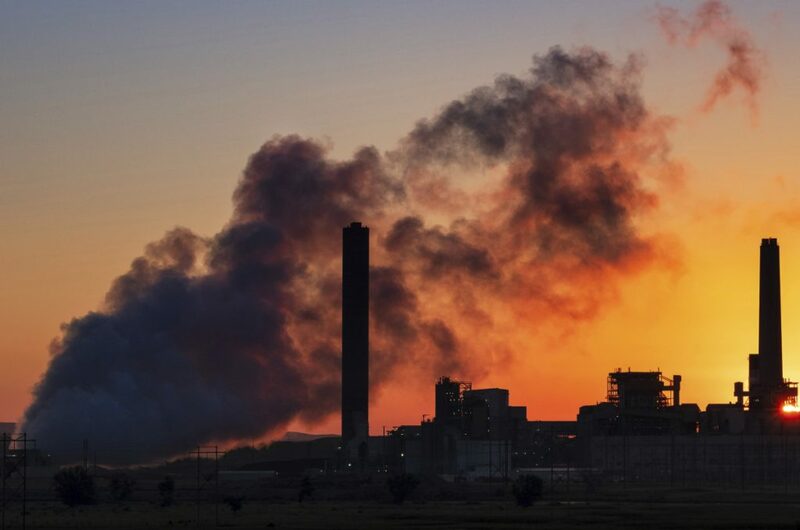 Global net human-caused emissions of carbon dioxide would need to fall by 45 percent from their 2010 levels by 2030 to reach “net zero” by 2050 and help forestall calamity if projected temperatures rise beyond 1.5 degrees Celsius. With an abnormally cold Thanksgiving, some people might look at such snaps and conclude the warming of the earth and oceans is not a problem. But scientists note that long-term trends, not aberrations, are the real issue. Climate change is also associated with increasingly harsh weather conditions, not just warmer temperatures. NOAA representatives could not be reached immediately about the timing of the assessment’s release. President Donald Trump has often expressed skepticism about climate change and environmental groups have been outraged at attempted rollbacks of the Obama administration’s Clean Power Plan, which sought to reduce carbon dioxide emissions, and vehicle fuel efficiency standards. This week, as environmental groups pointed to the devastating and record-breaking California wildfires as a byproduct of climate change, the president continued to suggest the infernos were because of poorly managed forests and bad environmental laws. But scientists say there’s evidence both climate change and forest management play a role.